It’s finally time for dinosaurs to rule again! I’m thrilled to announce the official launch of Horizon Alpha: Predators of Eden from Future House Publishing. 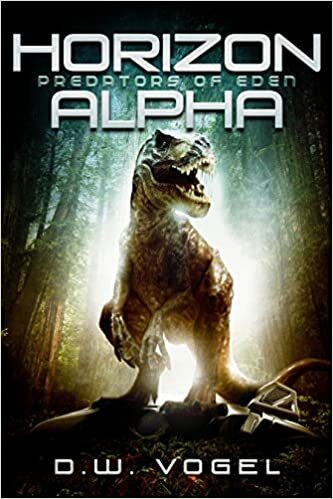 It’s a science fiction adventure about fifteen year old Caleb Wilde whose shuttle goes down in a jungle full of dinosaurs. Future House is a family-friendly publisher, so Horizon Alpha is suitable for readers of all ages. The e-book is available today, and the paperback version will follow in about a month. Act fast for special launch day pricing and look for our giveaway on Goodreads. As always, reviews are greatly appreciated. Hope you enjoy this fun sci-fi romp! T-rex is waiting!